This charming bungalow is full of character and charm! Located in the heart of Jacksonville's Historic Springfield, it has 2 bedrooms, 1 bathroom, and lots of natural day lighting. The home has an open concept living and dining room and a beautifully updated kitchen and bathroom. Also included is a stackable washer and dryer. Recently restored, this historic building features a fenced backyard, and impeccable hardwood flooring throughout. This property includes a private front porch with a swing, as well as new HVAC, plumbing, and electrical. 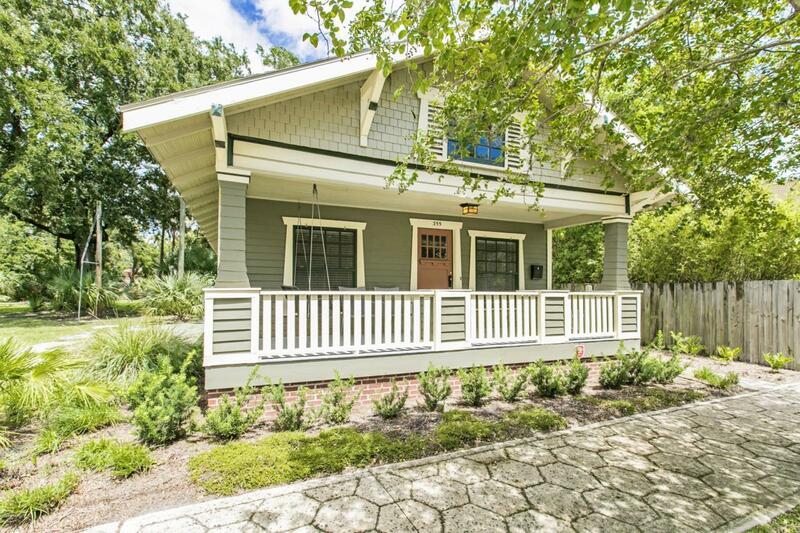 The bungalow is conveniently located close to Florida State College, parks and downtown entertainment. Smoking Prohibited. $500 per pet refundable pet deposit (if no pet damage). Pet restrictions. Listing courtesy of J Properties Iii Llc.